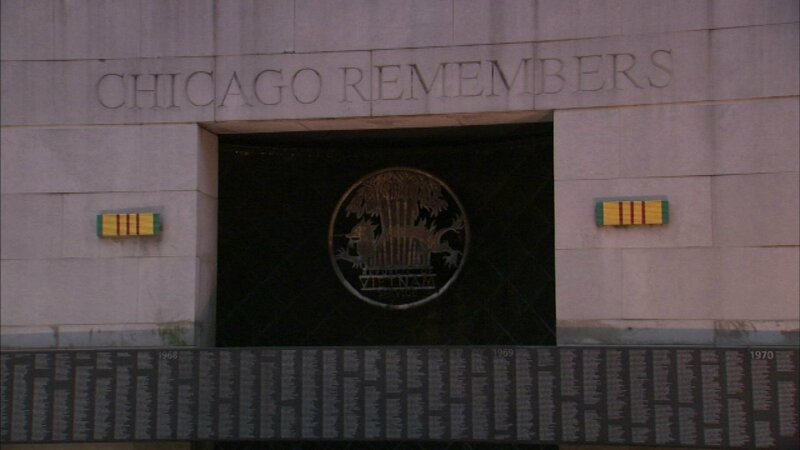 Police said the Chicago Vietnam Veterans Memorial Wall was vandalized Sunday. CHICAGO (WLS) -- Chicago police are looking for whomever who wrote their own names on the Vietnam Veterans Memorial Wall. Vietnam veteran David Goddard said he saw two women writing their names on the wall near State Street and Wacker Drive Sunday afternoon. "If you want to remember somebody, leave something to remember them. If you knew somebody up there, leave something. Don't put your name on the wall. That ain't right," said Goddard. Police said they'll be looking for any surveillance cameras in that area.